RDKF’s pre-release box art for North America features neither Healey’s nor Media Molecule’s names. 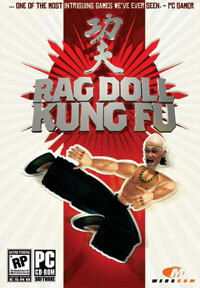 Next-Gen.Biz and GamesIndustry.biz report that Mark Healey’s Rag Doll Kung Fu will be available on North American store shelves from August, through “developer-friendly” independent publisher Merscom. The release follows the founding of Healey’s new studio, Media Molecule , but does not currently carry its name. Although not mentioned in Merscom’s press release, the game will also be distributed in parts of Europe through Frogster Interactive, who already handle Red Orchestra in Austria, Switzerland and Germany. A note on the game’s new German website encourages distributors in other regions to extend the game’s reach further. RDKF is the third independent game to see a retail release following a Steam deal (joining Red Orchestra and SiN Episodes ), and to the best of my knowledge the first release at all with Steam as an option during installation and not a requirement. Those without internet connections will be able to access the game at the price of updates, multiplayer and “community support”. A wise move indeed considering the low public awareness of the game. The retail edition will also include a collection of undisclosed “extras” to “provide even more value for customers”, regardless of their connectivity. 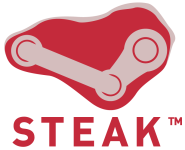 Whether they will provide justification for the five dollar price increase is not disclosed, however: the release’s RRP is $19.99, while its current Steam price has remained at $14.95 for the nine months since the game was first released. The price difference is either a harsh reminder of what retail can do to profit margins, a cynical exploitation of the game’s niche nature, or an indication of just how good the extras will be. We’ll find out which come August. awesome. not that the game is that great or that it will sell well (i doubt that :P), but awesome that its success on steam has led to a retail release at all.